A cross between a slipper and a loafer, the smoking slipper first came on the scene in the 1800s on the feet of royalty and jet setters. Today they are statement shoes that say a lot about the man that wears them. 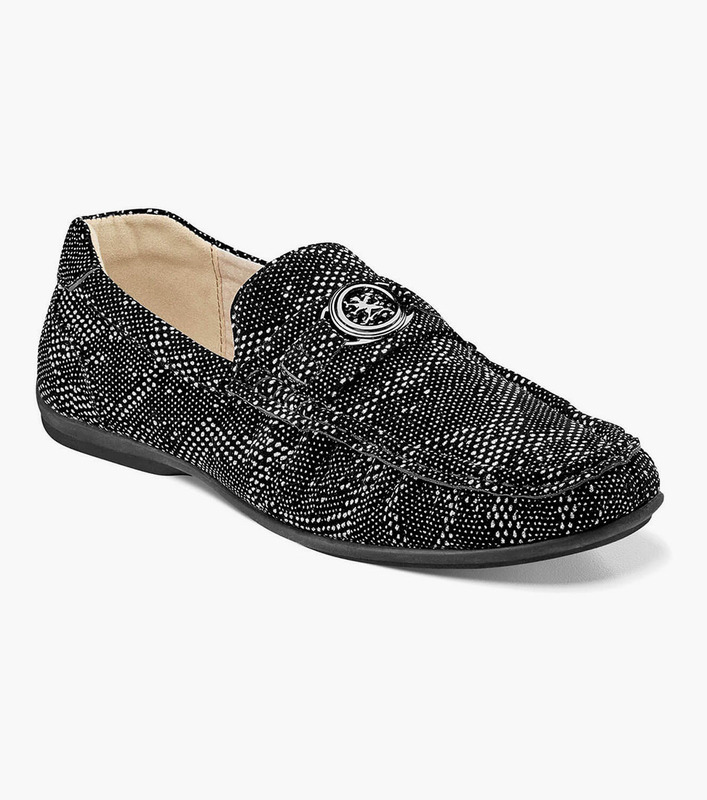 Give yourself the royal treatment with the Stacy Adams Cypher Moc Toe Slip On, with its full glitter upper and Stacy Adams emblem.